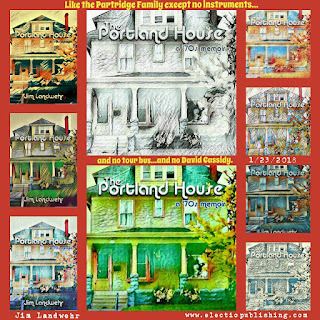 A little less than a week ago The Portland House was released. My second memoir and my fourth book. If you'd have told me as little as eight years ago that I would be saying that I would have laughed my head off at you. Yeah, right. A writing fool. But here I am. And, whenever I get all puffy chested, I always bring myself back to earth by referring to my success as just a glimmer of "Sub-atomic micro fame." The only way to go is up from here. That's a good philosophy for all of life, not just writing. At the same time, my writing journey has helped me in so many intangible ways. 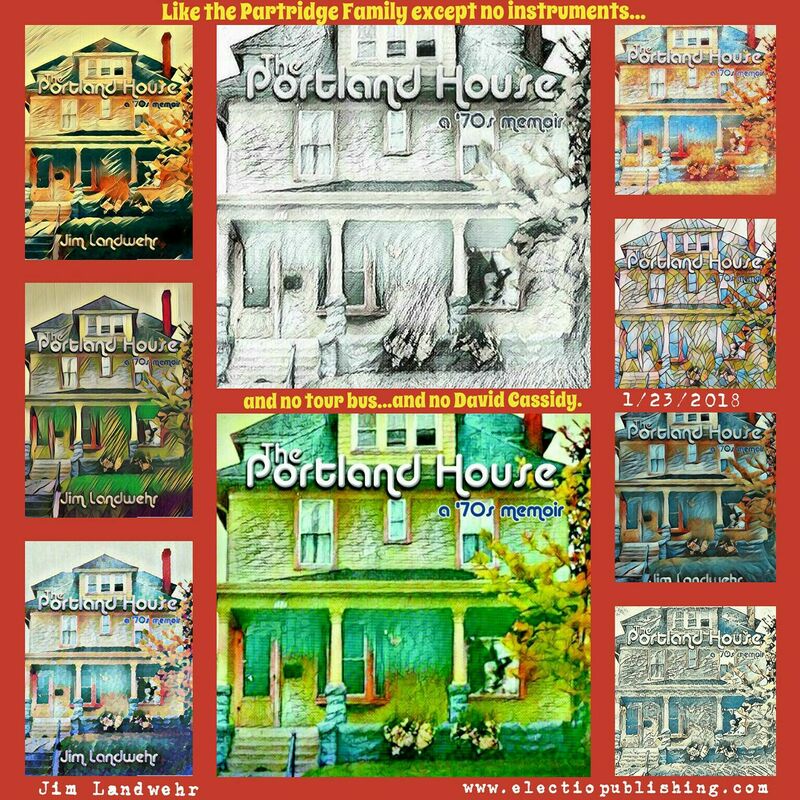 It has given me a community of writer friends both locally and nationally. Friends that feel like family, these people encourage me, bolster my confidence when I'm doubting my work and cheering me when I hit a win. It is two way though, as I do the same for them and celebrate their victories as well. My book, Dirty Shirt had quite a long road show that went with it. It usually meant a 45-50 minute presentation and reading in front of big and small groups. Initially the thought of doing this caused me great distress. As I started doing it more and more, I got better and better at it and have to admit, almost kind of enjoy it at times. Again, eight years ago, if you'd have told me I'd be getting up in front of people and not mind it, I'd still be laughing. My writing studio's director has helped me by recommending me for panel discussions and, more recently, an all-morning Meet the Author session at the local high school. There is also talk of getting some of our books into the County Jail for a book study among those inmates interested. These events have elevated my confidence and presentation savvy. These skills carry over then into my work environment as well. A win-win. Overall well being and happiness. There are days where just knowing that I have two books out in the world makes life so much richer. Sure it's sub-atomic micro fame, but it makes a difference in my mental health and happiness. So, because I can never say thank you enough, I want to again thank everyone out there who has read my work, bought my books, supported the magazines I'm in, left a review, shouted me out on Facebook, sent an encouraging inbox, cheered me on, or believed in me when I myself did not. I've always been my own worst critic, and it helps having folks out there reminding me to shut that crap down. Thank you Donna, thank you AllWriters, thank you family, thank you friends, thank you Electio Publishing, and thank you Lord. This is about as cool as it gets right now and I didn't do it alone.